The reason why the largest retail companies headquartered in Sweden are also some of the largest retailing companies in the world is partly due to the fact that Sweden has a strong economy and a favorable environment for business. The other big reason is that Swedish retailing companies like IKEA and H&M have found fanatically loyal customer bases in global markets, and are competing well with the largest retail chains in the U.S. and Europe. IKEA and H&M are two Sweden-based retail chains that are ranked relatively high on the annual Global Powers of Retailing Report, which is published annually by Deloitte Touche Tohmatsu. According to this report, based on annual revenue, both IKEA and H&M have risen in the rankings when compared with retail chains all over the world. 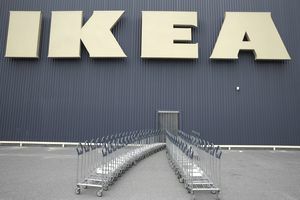 When comparing the 2010 revenue ranking with the 2016 revenue ranking, IKEA gained ground compared to all other retail chains of all types in the world. In 2010 IKEA was ranked the 30th largest (highest revenue) retail chain in the world. In 2016 IKEA was ranked #26. H&M, however, has fared even better in the past six years. In 2010, H&M's annual revenue was the 60th largest in the world. In the 2016 report, H&M was ranked #47, which is a reflection of its successful global expansion in the past six years. Not only are Sweden's individual retail chains doing well, Swedish businesses, in general, are thriving. So well, in fact, that, Sweden was ranked as the 5th best country in the world for business, according to Forbes Magazine's most recent "Best Countries for Business" ranking list. What follows below is a list of the retail companies based in Sweden that are included on the 2010 and 2016 Global Powers of Retailing ranking lists. The global ranking numbers are based on annual revenue and compared to all of the largest retail organizations worldwide. It is worth noting that the 2016 Global Powers of Retailing Report is created from FY 2014 revenue figures and the 2010 Global Powers Report is created using the figures from FY 2008, which was a year of global recession. Why Retail Companies Do Well in Sweden, a "Best Country for Business"
The complexity and cost of complying with governmental regulations pertaining to operating a business, as reported by the World' Bank's Doing Business Report. This includes the cost of starting a business, transferring property, paying business taxes, exporting goods, importing goods and using courts to resolve a commercial dispute.